Twenty-six year-old Doug Fleming is one cog of four in the Winfield Farm enterprise, based in the Scottish border town of Berwick-upon-Tweed. Doug’s mother, father and brother are all partners in the core business, which covers 223 hectares (550 acres) of mostly arable land, while he separately rents 89 hectares (220 acres) next door. The family have also invested in a 100-strong herd of suckler cows, as well as a biomass boiler and two on-farm holiday lets. Asked why he had chosen not to become a partner in the main business, Doug explains: “I did engineering at university and worked elsewhere, so I was not really focused on coming back to the farm. Then my brother expanded a bit and was thinking of taking someone on, which drew me back. After Doug’s return, the two brothers began discussing succession between themselves, but never brought it up with their parents. “We just did not have an outlet or a good opportunity to do it," he recalls. The thought of making his mum and dad feel pushed out was what Doug feared the most about talking to his parents. “I did not want them to think ‘he has just come home and he is going to take over and shove us out the way’." Keeping the farm in the family – what are your options? Why would you hold back from having a conversation with your children about the future you have spent years trying to create on farm? These sensitivities exist in succession discussions for any family-run business, but Doug is convinced things are harder for those working in farming enterprises. “There is too much emotion involved,” he says. 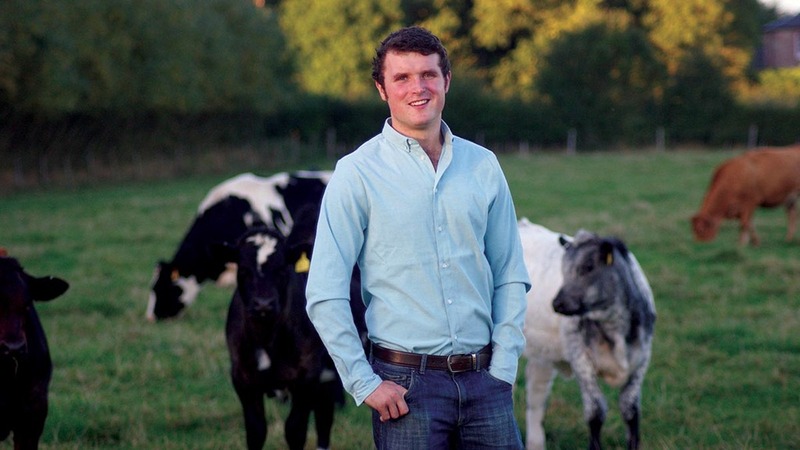 “Growing up as a farmer, you are told it is a lifestyle and it is fantastic. “You are brought up around it. Compare this to somebody who owns a factory; their kids do not get involved as much. “You are always there – you have got so much emotional attachment to this bit of land. It is difficult to get the emotion removed and look at it in a business-like way. “I think it is super-difficult, especially for somebody who has worked really hard all their life. “To see somebody coming in to take it away from them, I know it is not quite like this, but it can feel this way if they have put their blood and sweat into the thing. With so much emotion surrounding the farm, it is easy to see why Doug brought the topic up slowly. In the end, it was a Young Farmers leadership course which gave Doug the opportunity he was looking for to talk to his parents. Doug happily admits he found himself in a fortunate place thanks to the forward-planning of his parents. “Everything had been covered without me realising it, so there was nothing we actually had to do, it was just finding out all the information which helped," he says. “You hear a lot of stories of things going wrong and people not having a clue what is happening. “We have been through it as a family and I would never go through it again, I would sooner walk away. One way to avoid a bitter family feud is to make sure any succession plan takes account of what everyone wants – not just one person or one generation. But Doug acknowledges he had not considered how this would work in practice. Fortunately, Doug’s parents had accounted for this, and opened up the holiday lets to provide themselves with a wage when they take a step back from the farm. It is at this point when Doug hopes to become a partner in the core business, but nothing is set in stone and the brothers are keen to take advantage of any other opportunities which come their way. “We have not put a timeframe on it, timeframes are stupid." “You could get hit by a bus tomorrow and then your timeframe is out the window, but I do not know why anyone would not sort out a plan. “Families should start talking about succession as early as possible. “As soon as you have kids you need to start thinking about what you are going to do, whether you are not going to give them anything or give them everything. “You need to have something in place even if it is just a plan of ‘in 20 years’ time we are going to sell this’. 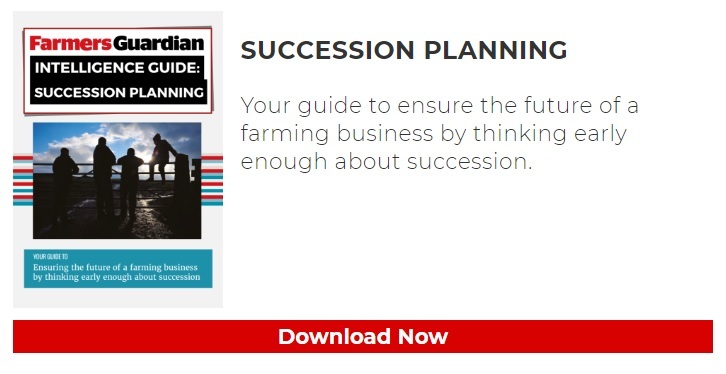 Despite the ongoing push for farmers to talk succession, the reality is these vital conversations often do not take place. For those who have not yet had the courage to have the talk, Doug has some advice. “I think they will get a good enough response if they say ‘we need to go for a cup of coffee, go in the house and sit down and talk about this’. “It is probably bugging everybody if it is not being discussed at all. It does not need to be anything fancy, even just a coffee break and a sit down with everyone. “That is all we have ever done, we have never had a fancy meeting about it, we have even talked just standing in the yard.